Two orbs and an eye! Today’s images are a bit more “artsy” than my usual wildlife images. 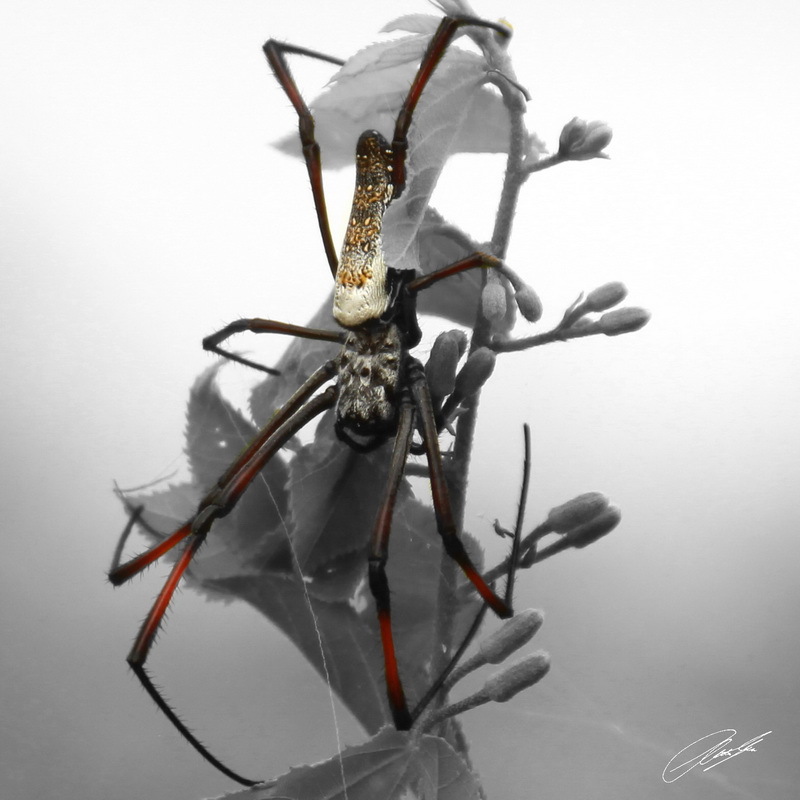 The first is of an Golden Orb Spider on a branch. 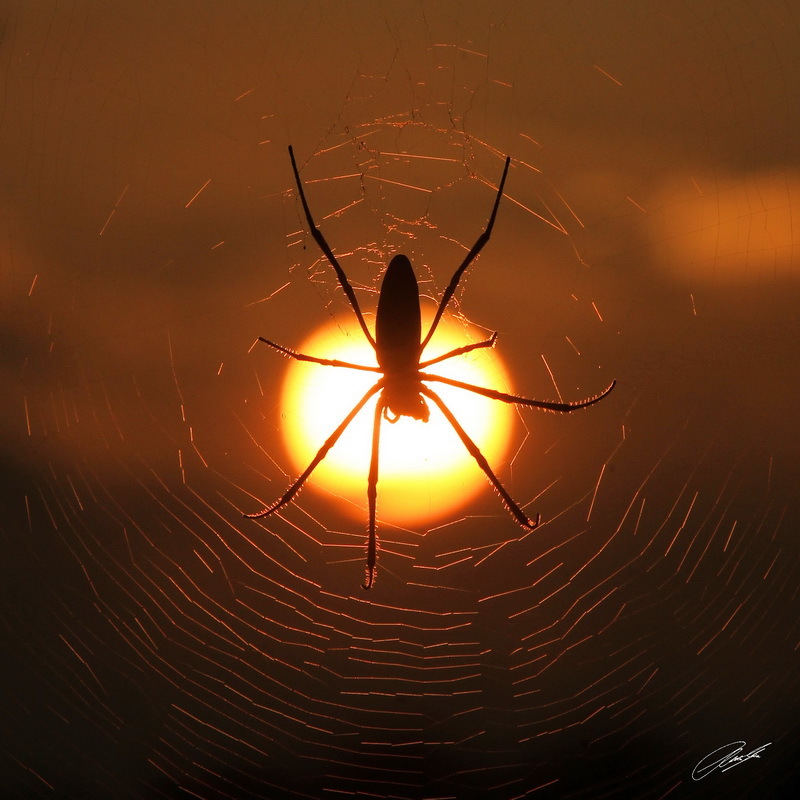 The second is of an Golden Orb Spider at sunrise. All three images are part of my “Without the Five” series (images 12-14). All three images are outstanding Chris. The contrast of the spider against the plant is great. 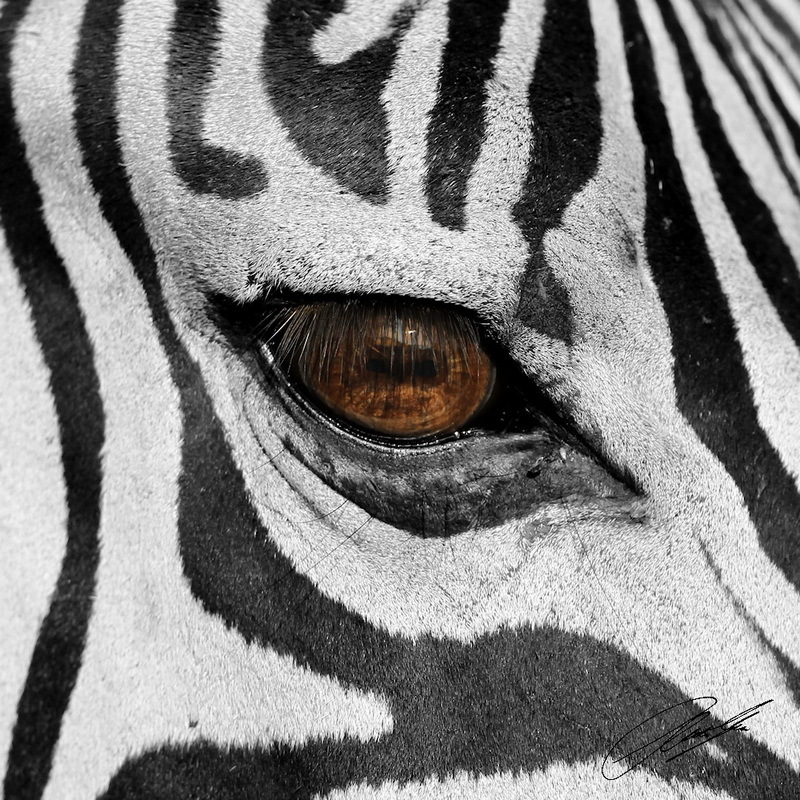 I particularly love the close up of the zebra’s eye! There’s whole world in that eye. 😉 Thanks for sharing! Christian I am terrified of spiders..so I won’t say anything except they are good. 🙂 as for the Zebra eye…I love that one! I like that the reflections of the sunset shows. Very pretty. Wow…You do “artsy” well! Love all three shots. Want to see more! I really love these images. Wow, the first spider totally creeped me out, but fantastic photos as always!